With its bright, colorful lights and over-the-top architecture, it is no wonder that Las Vegas provides the ultimate backdrop for movies. Frequently starring in blockbuster films, the Las Vegas Strip is as famous and iconic as most of the prominent actors and actresses who have filmed here, which makes it the perfect holiday destination for all film buffs like me. Embodying glitz, glamor, action, adventure and entertainment, Las Vegas has been the set for at least 100 major films, so it can be slightly overwhelming when trying to decide which locations to visit. 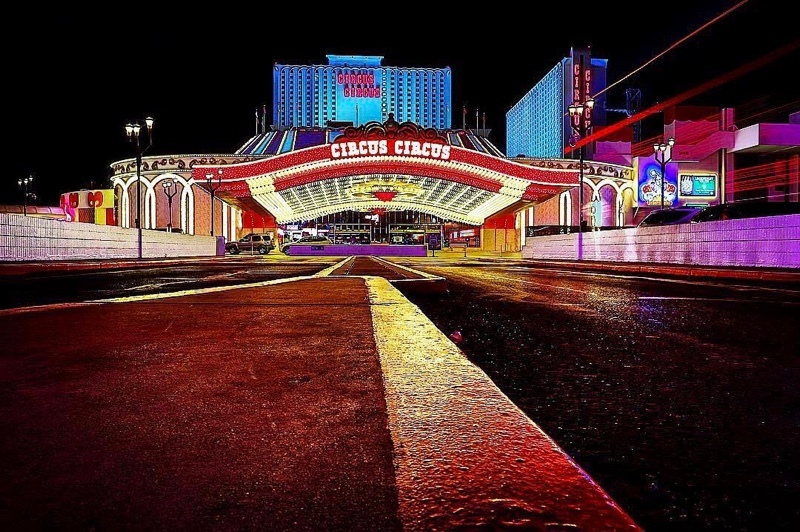 At the top of the list should be Circus Circus, one of the most recognizable scenes in Vegas. Featured in films such as Fear and Loathing in Las Vegas (1998), Leaving Las Vegas (1995), Diamonds Are Forever (1971) and Austin Powers: International Man of Mystery (1997), there is plenty of fun to be had while wandering around the hotel and casino as you pick out the set locations for each film. Also featured in Diamonds Are Forever is the iconic Tropicana Las Vegas, whose iconic film status was sealed when it provided the set location for The Godfather movies. 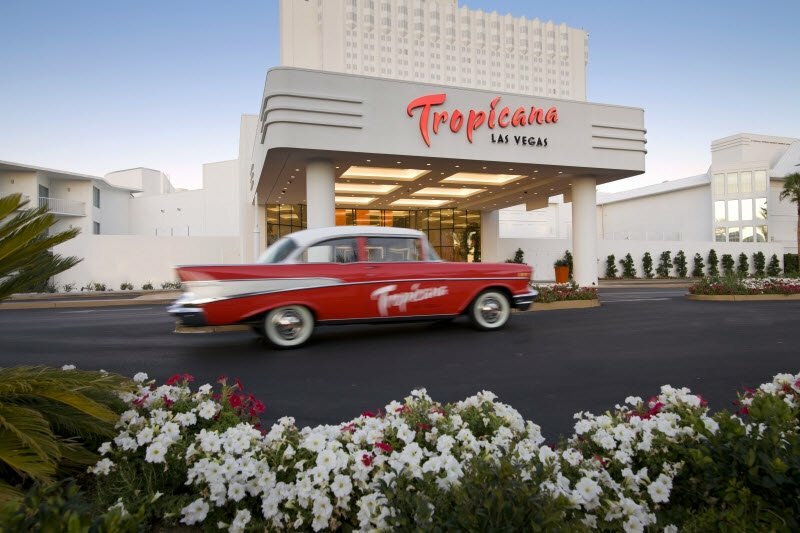 The movies were shot at the Tropicana as the Vegas site of Michael Corleone’s casino business; however, when it was briefly mentioned in The Godfather Part II (1974), the name was changed to “Tropigala” to avoid any copyright issues. Another iconic destination for film sets is Caesars Palace, which was made a household name by movies such as The Hangover (2009), Dreamgirls (2006) and Iron Man (2008), where it proved to be a good location for the main character Tony Stark to receive an Apogee Award. The hotel has also played host to big-name entertainers such as Mariah Carey, David Copperfield and Frank Sinatra, who as most of us know was no stranger to Vegas. During the filming of Ocean’s 11 in 1960, Sinatra, along with the rest of the Hollywood Rat Pack including Sammy Davis Jr., Dean Martin and Peter Lawford, performed evenings at the Sands Hotel Copa Room, which was also featured heavily throughout the film’s many iconic scenes. Although the Sands was demolished in 1996, it is possible to visit The Venetian, which now stands in its place. 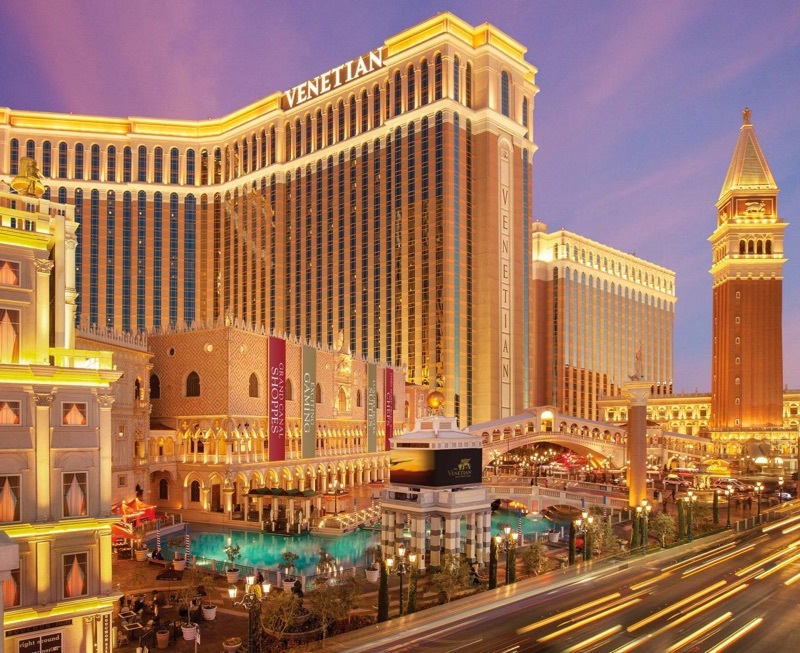 The Venetian was also featured in the Miss Congeniality 2: Armed and Fabulous (2005) and the introductory scenes of Rat Race (2001). The exterior also provided a backdrop for several scenes in the 2007 movie Resident Evil: Extinction. If you are more familiar with the most recent version of Ocean’s Eleven (2001), then The Bellagio Hotel and Casino is likely high on your list of priorities! Thanks to a special agreement between the film’s producer Jerry Weintraub and the Bellagio’s owner Steve Wynn, the cast and crew were granted unprecedented, 24-hour access to the hotel’s amenities and grounds. One of the most iconic moments of the film is a scene set on Las Vegas Boulevard by the Bellagio Fountains at sunset, which makes it an incredibly popular photo opportunity for film buffs. Also featured in Ocean’s Eleven (2001) is The Mirage, which was initially made famous by the Chevy Chase classic Vegas Vacation (1997). It was also featured in a Steve Martin comedy Sgt. Bilko (1996) one year prior to Vegas Vacation, but because it was such a flop at the box office, hardly anyone will remember the appearance of the hotel. 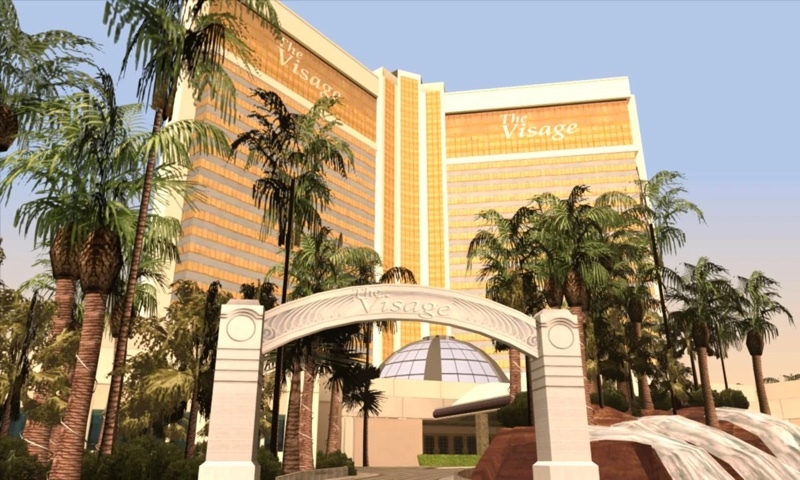 Video gamers, however, might appreciate that The Mirage is featured in Grand Theft Auto: San Andreas, though it is known as “The Visage” for copyright purposes. Finally, film buffs would do well to include the Planet Hollywood Hotel and Casino on their list. Featured in films such as What Happens in Vegas (2008), Knocked Up (2007) and Get Him to the Greek (2010) along with Sofia Coppola’s Somewhere (2010) starring Stephen Dorff and Benicio del Toro.